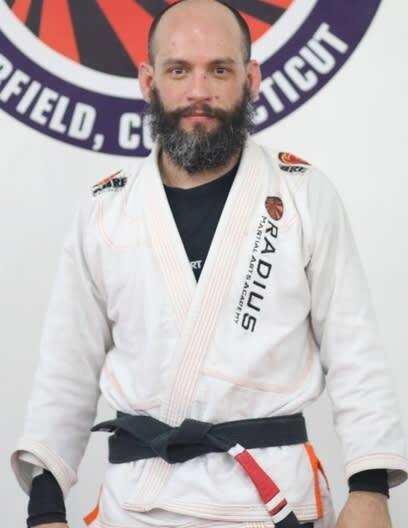 Travis Passaro, co-owner of RADIUS Martial Arts Academy, holds a Jiu-Jitsu black belt under Professor Luigi Mondelli, a 4th degree American Top Team black belt of Kore/ATT CT. He has also been training Muay Thai since 2010 under the instructions of Josh Danis. By day, Travis is a Board Certified Behavior Analyst who supervises and develops programming for individuals with special needs, autism and related disorders. 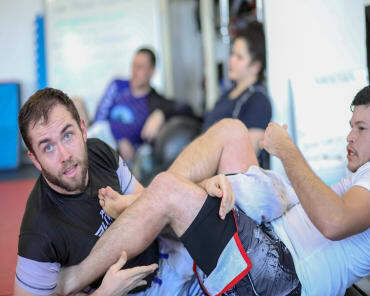 Travis teaches Brazilian Jiu-Jitsu at the studio. He is eager to grow the existing program and to build a martial arts program catering to the needs of individuals with special needs within our community.